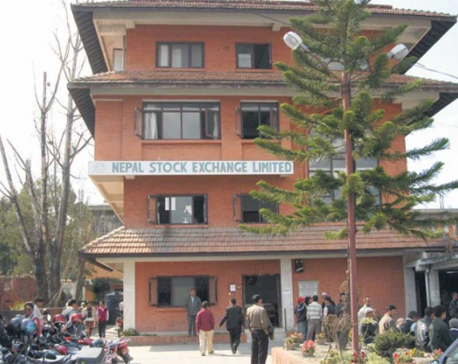 KATHMANDU, Jan 19: The Nepal Stock Exchange (Nepse) index which traded range bound in the previous week, witnessed slight strength in this week's trading. In spite of a slightly skeptic start on Sunday with a loss of almost 6 points, the benchmark index recovered all the initial losses by mid-week. After recouping 3 points on Monday, Tuesday saw the equity index add more than 17 points. The index came under pressure towards the end of the week with a loss of 8 points on Wednesday and Thursday combined. Nonetheless, the index closed the week 6.93 points or 0.59 percent higher to settle at 1,187.77 points. With the gain seen on the review period, the index has closed in the green for a second straight week. However, the magnitude of gains remains relatively small to suggest any possibility of significant turnaround. Following a surge of almost 100 points in December, the bourse has also been experiencing bland trading sessions in terms of market participation. 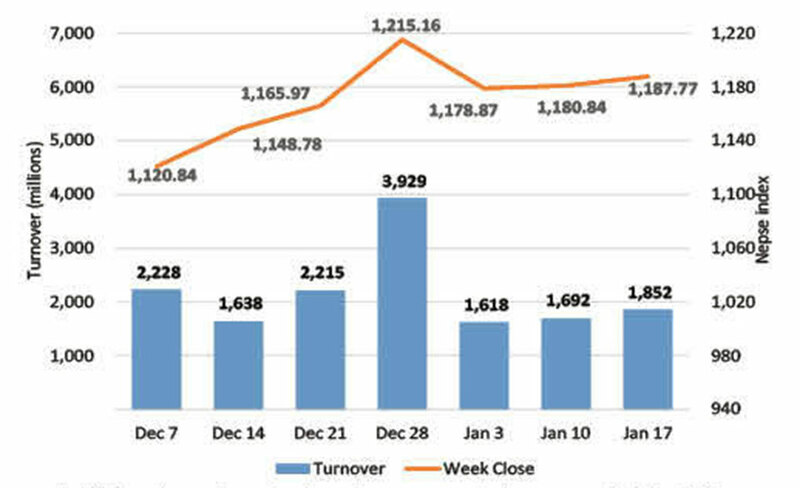 The bourse posted a below average weekly turnover of Rs 1,852 million. Sensitive Index, gauging the performance of Class 'A' stocks, underperformed but managed to eke out a gain of 0.14 percent. On the sectoral front, all major sub-indices closed the week higher, barring sub-index of heavyweight banking stocks. Banking sub-index dropped over 1 percent. 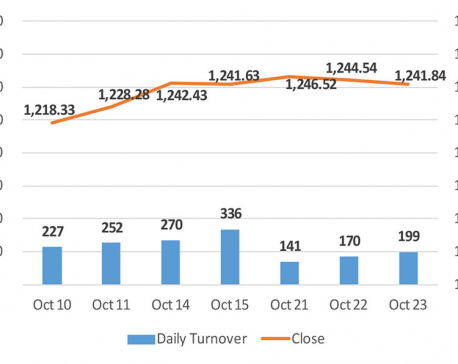 On the other hand, Hydropower sub-index surged over 11 percent driven by shares of Upper Tamakoshi Hydropower Ltd which shot up by almost 40 percent after its listing this week. Microfinance and 'Others' sector stocks also witnessed considerable strength as reflected by gains of over 3 percent each in the respective sub-indices. Similarly, Trading sub-index closed over 2 percent higher. Further, Manufacturing & Processing, Life Insurance and Development Bank sub-indices rose over 1 percent each. Nepal Bank Ltd led the list of active stocks in the review period. More than Rs 295 million worth of the government owned bank's shares changed hands. Next, Citizen Investment Trust's share registered a total turnover Rs 231 million, while NIC Asia Bank Ltd posted a turnover of Rs 80 million. 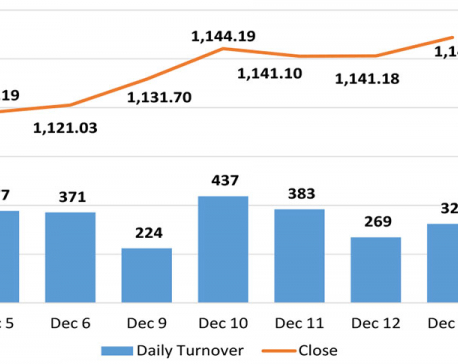 Among other top turnover scrips, Chhimek Laghubitta Bikas Bank Ltd, Nepal Life Insurance Company Ltd and Machhapuchhre Bank Ltd logged in turnovers of over Rs. 50 million each. Following the end of second quarter of fiscal year 18/19, few listed companies published their quarterly financials in the week. Among others, NIC Asia Bank Ltd reported a remarkable 164 percent year-on-year growth in its net profit as the bank's core business grew by more than 45 percent. Similarly, net profit of Machhapuchhre Bank Ltd witnessed an increment of over 60 percent, while that of Everest Bank Ltd grew by 17 percent. As per the ARKS weekly technical analysis, the market formed a small bullish candlestick reflecting slight strength. Nonetheless, the index still trends below its 5 and 20 week Exponential Moving Averages (EMAs) indicating the overall downtrend still in action. Technical indicators also suggest subdued momentum in the equity market of late. Hence, a substantial breakout above the immediate resistance, at around 1,220 points, might present buying opportunity for the investors.